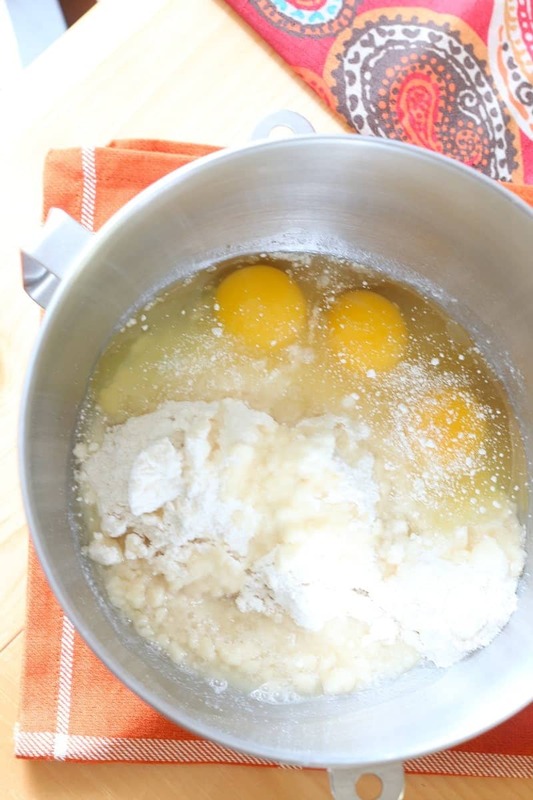 My fall baking has officially begun and I am happier than pie about it. 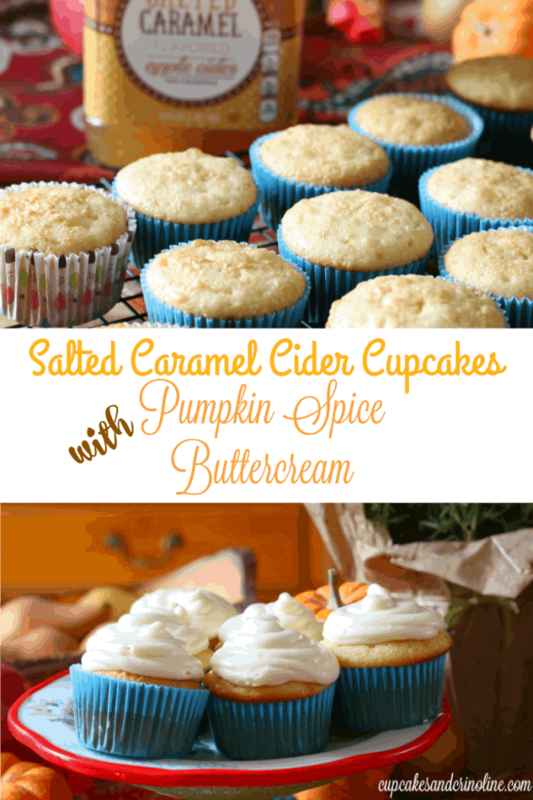 The scents and flavors of fall are among my absolute favorite and to celebrate I had to make cupcakes, of course! 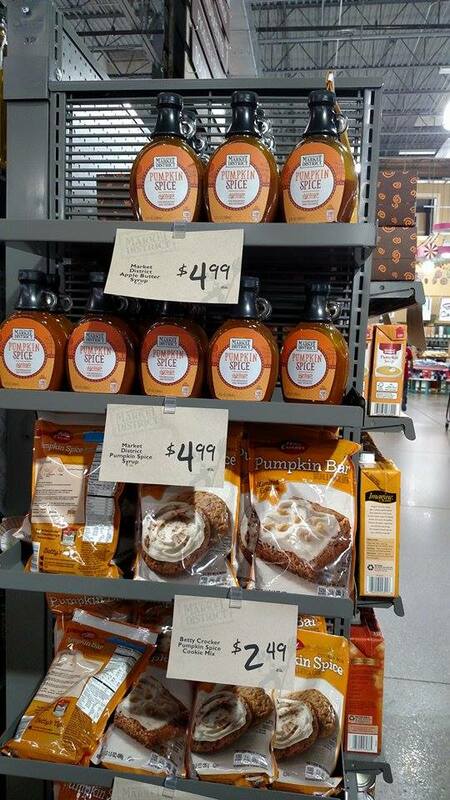 Last Friday night I was out with my husband and youngest son and we ended up at Giant Eagle (Market District no less – one of my all-time favorite grocery stores) and I saw a display for some delicious seasonal products that I knew I wanted to use to create something delicious. 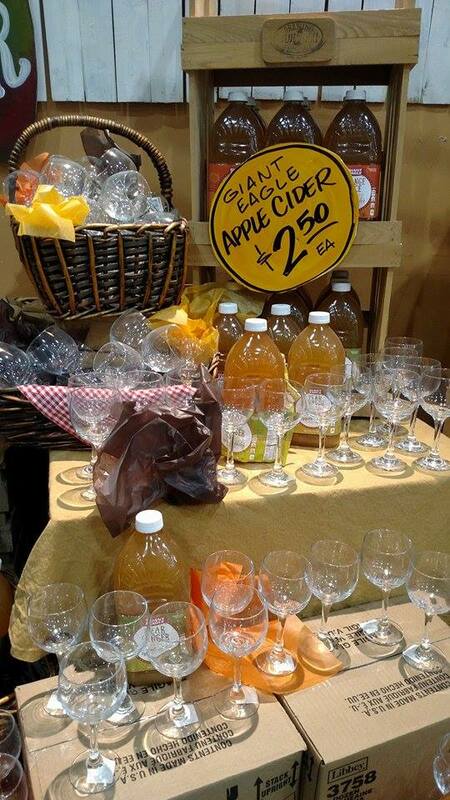 Cider is perfect for drinking but it’s also great to use as an ingredient in so many recipes. 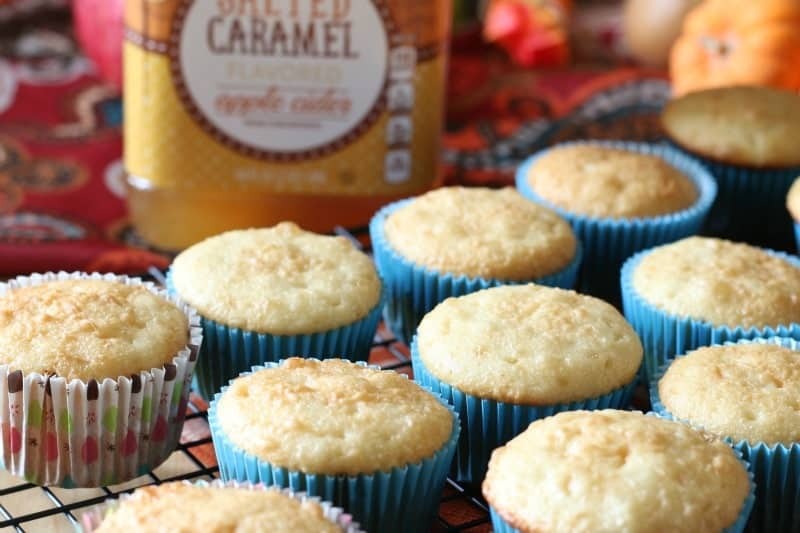 I have a coffee drink up my sleeve that I’ll be sharing in a few days but until then I decided the Salted Caramel Cider would be great as a flavoring for a basic white batter cupcake. 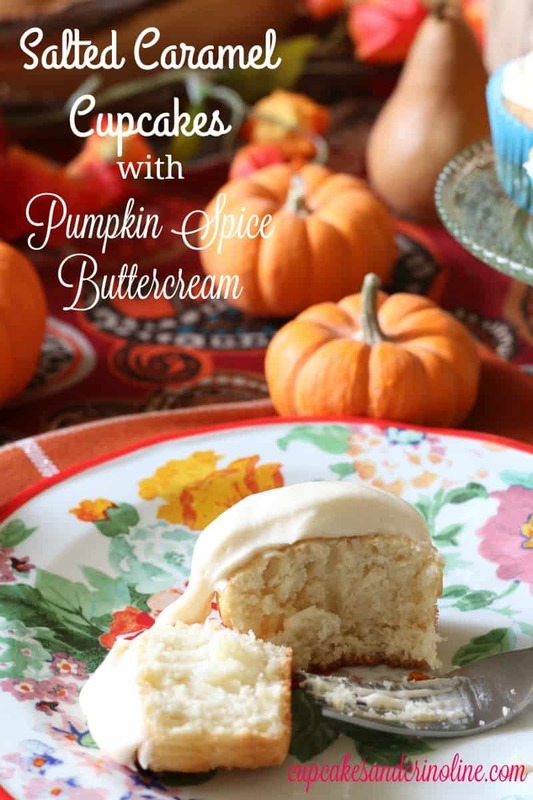 Next, I saw Pumpkin Spice Syrup and thought this would be delicious in a Cream Cheese Buttercream Frosting to go with the cupcakes. It would be perfect with pumpkin pancakes and those are on my weekend menu (stay tuned for those as well). 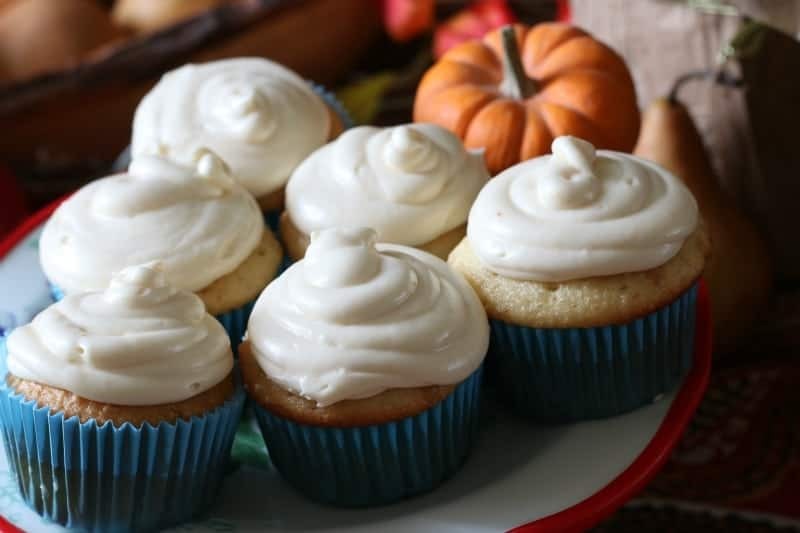 You certainly can make cupcakes from scratch which I do most of the time but in this case I used a boxed white cake mix with pudding. 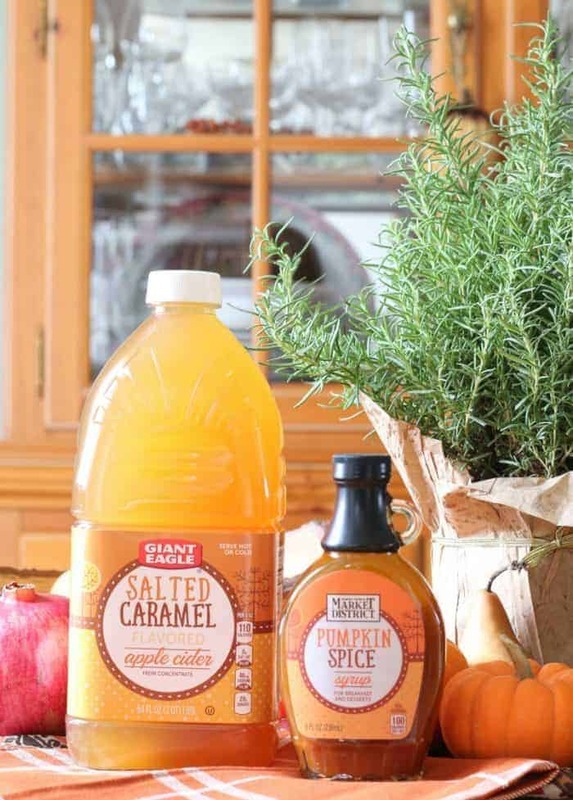 Directions: Follow direction on the box (but) substitute *Salted Caramel Cider* for the water called for in the recipe and bake as directed. 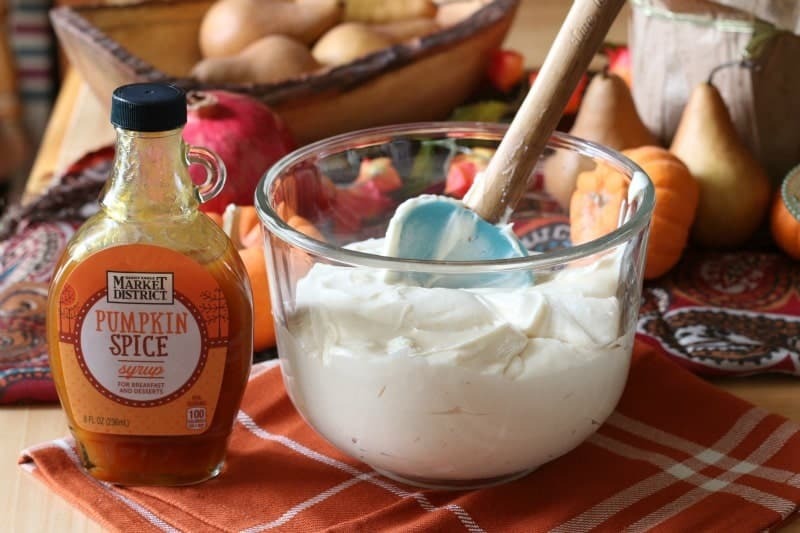 2 Tbsp Pumpkin Spice Syrup Cream the butter and cream cheese until light and fluffy which will take several minutes so be patient. 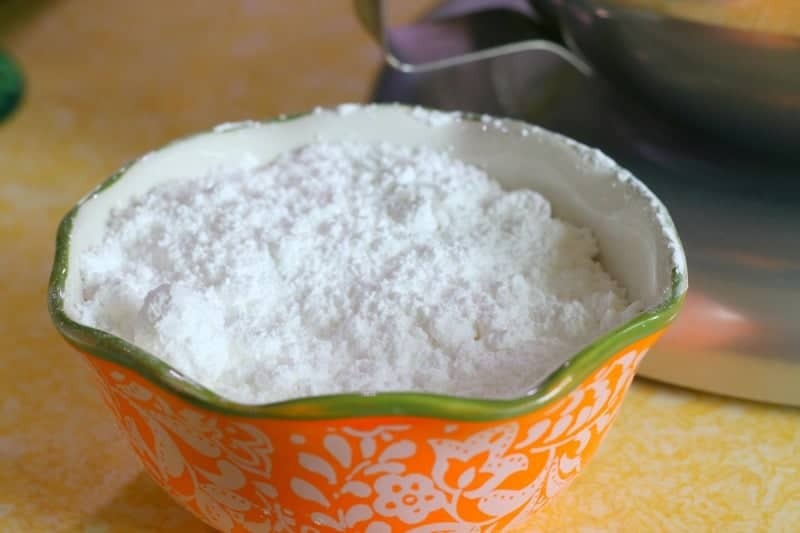 Gradually add the powdered sugar 1 cup at a time until fully incorporated. 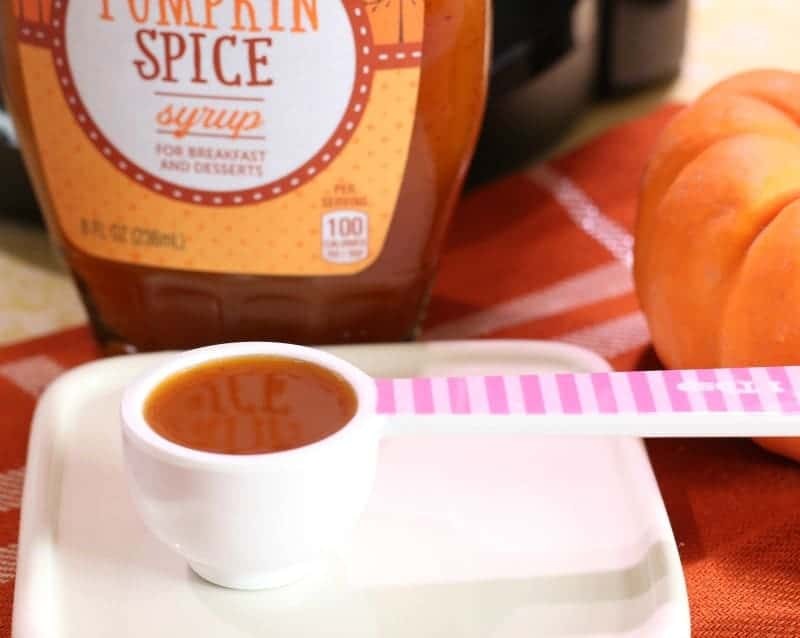 Mix in the vanilla extract and Pumpkin Spice Syrup just until blended; less than 30 second, on low. 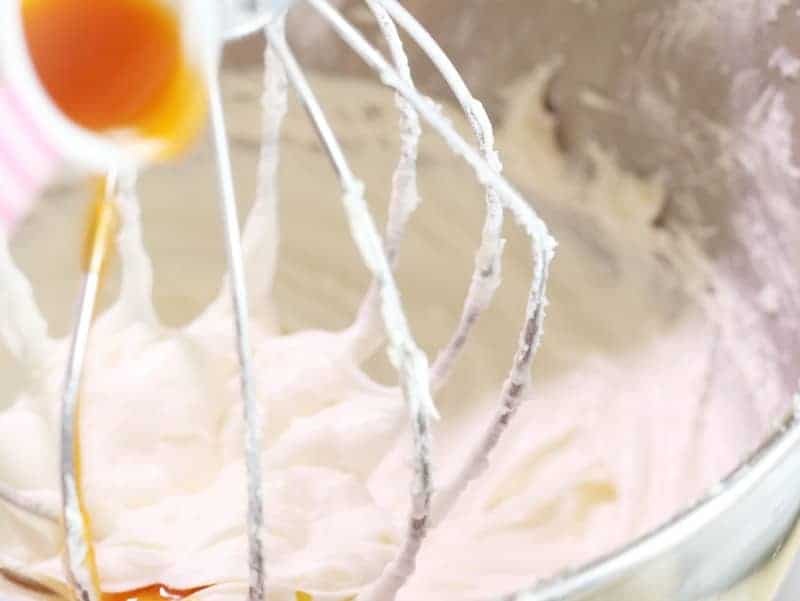 Once your cupcakes are done baking allow them to cool. 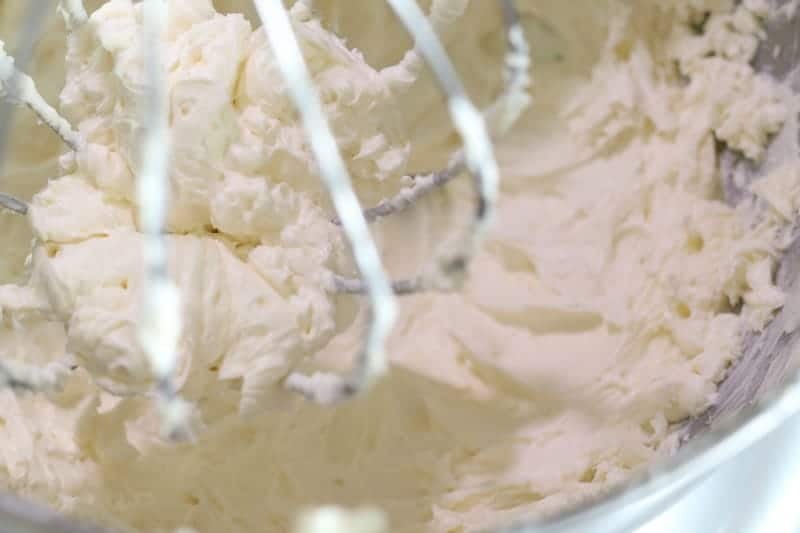 Once cool, slather on this delicious, rich and creamy frosting and enjoy! What are your favorite flavors of fall?